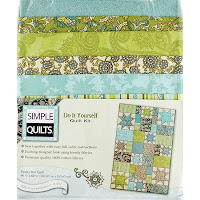 I'm excited to show you our new selection of Simple Quilts - DIY Quilt Kits from Fabric Editions. Choose from five new quilt designs featuring simply pieced quilt patterns & beautiful fabric collections. Create a decorative accent quilt, sofa throw, or quilted blanket for baby. You'll find them in the Quilt Kits section of the store! 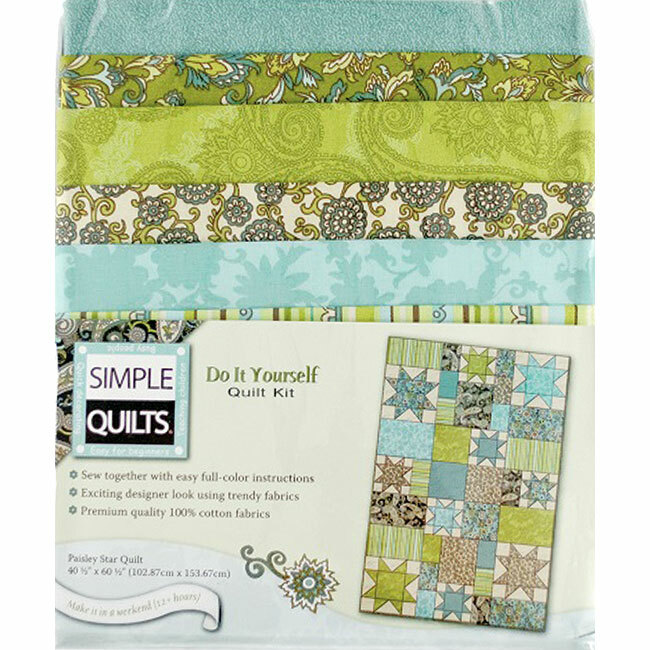 Simple Quilts are an ideal choice for beginners looking for an easy-to-piece quilt project. They're also a convenient time-saving option for experienced quilters. Trendy cotton fabrics are professionally coordinated for an exciting designer look! 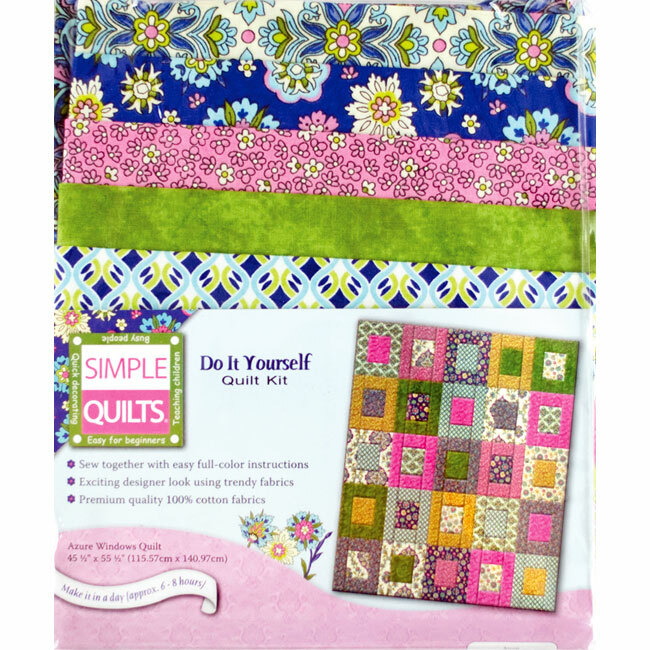 Simple Quilts - quilt kits include easy full-color instructions and 100% cotton fabrics for the quilt top, backing, and binding. To ensure adequate yardage, it's important to not pre-wash the fabric pieces in your kit. Step-by-step quilt instructions guide you through the quilt making process. It's always a best practice to read through all the instructions prior to starting your quilt project. You'll need basic Quilting Supplies on hand, including rotary cutting tools, a sewing machine, scissors, iron & ironing board, quilting pins, basting pins, and matching thread. You'll also need a piece of batting that is approx. 2 to 3 inches larger then the quilt top in each direction. Completed quilt dimensions are provided in the product description for each quilt kit design. 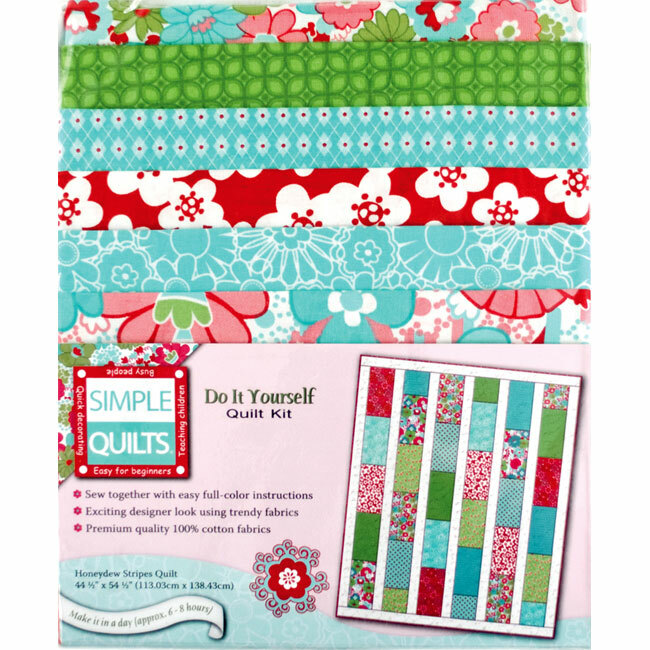 If you're new to quilting, you may find our Quilt Kit Tutorial series helpful. Posts includes tips on rotary cutting, piecing, layering, basting, and binding your quilt. 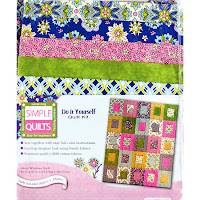 Visit the Quilt Kits section for details on these kits and to see our complete selection of easy-to-make quilt kits, including lap quilts, baby quilts, wall quilts & more! Weekend Kits offers a unique collection of Creative Art & Craft Kits for adults, teens, and kids. 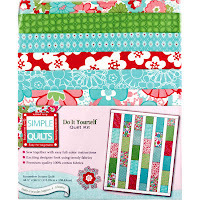 Stop by today and be ready to start quilting on your next Weekend at Home.